+Same topics also relevent for Public Administration Syllabus. Liaison with State Governments, UT, professional institutions and foreign countries for Public Administration related matters. Office Procedure Manual for Central Secretariat. *O&M is part of Public administration syllabus, but not much relevant for GS. But just for the curious souls: O&M helps simplifying and improving work systems, accounting system, file management etc. This department helps implementing the recommendations of 2nd ARC in various ministries and departments of union, state and UTs. 5th Report Public Order- Justice for each, Peace for all. “SEVOTTAM” , meaning Uttam Seva= service delivery excellence. Ok we should have ‘service delivery excellence’. but how? One practical difficulty= lack of a common understanding on what is “acceptable quality” for service delivery across different organizations and geographical locations. Here, Dept. of ARPG comes to help, lays down the ‘Sevottam’ guidelines, helps various ministries and departments, states and union territories to implement them. Whom to contact in case of problem? You put in a grievance redressal mechanism. A grievance can be real, or imaginary, legitimate or ridiculous, rated or unvoiced, written or oral. But when a grievance is received, it needs to be redressed. You setup a Grievance Redress Mechanism (GRM). This system helps you receive record, investigate, redress, analyze, prevent any grievances. 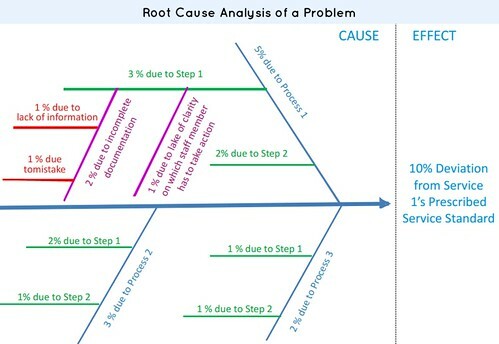 under this method, you create fishbone charts to identify root of a problem. Who/what is responsible for the given problem. example see following image. Then you take measures to fix that root problem. Kaizen means elimination of waste. Kaizen is a technique to improve functioning and solving problems without throwing money at them. Removes old records= increases physical space in the office and cupboards. Reduces time wasted in searching for documents. Many organizations have used 5S tools to achieve “30-second search time” for documents. Removes useless furniture and machinery=increase physical space and ambience in the office. Here you classify various activities/issues of your organization and give them color codes. E.g. red for problematic, green for smooth and thus prepare a color chart. This helps you identify the culprit behind inefficiency. 2nd ARC =>12th Report=> “Citizen Centric Administration the Heart of Governance”. Government accepted this recommendation, asked all ministries to adopt the ‘Seven Step Model for Citizen Centricity’. DARPG documented this Seven Step Model under the name SEVOTTAM. SEVOTTAM means Uttam Seva= service delivery excellence. These charters enumerate services provided by an organization, its time limits and quality standards. Citizen charters empower people to demand quality service and seek remedies in case of non-delivery. Thus, Citizen’s / Client’s Charter makes the public services citizen centric by making them demand driven rather than supply driven. To redress citizen’s grievances in a time bound and systemic manner. 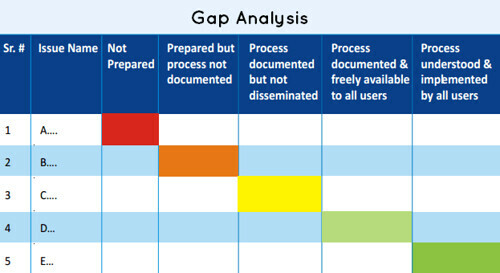 with help of management techniques such as 5s tools, root cause analysis, gap analysis etc. Improves the speed and quality service delivery. Reduces causes of complaints, corruption and negligence. Solves maximum complaints immediately on receipt. Eliminates fire-fighting style of working. 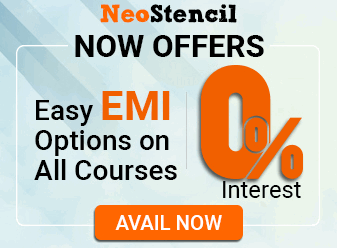 Eliminates outdated activities, wastage of money and resources. Just like Sevottam there should be MevottamTM. Thus, if a department/ministry has this certificate = means its bribe potential is very high. Presently, the MevottamTM compliant ministries are: coal, telecom and defense ministry. Bring public services closer home to citizens. Under NeGP there are 31 Mission Mode Projects (MMP). These MMPs serve as vehicles for electronic service delivery @Central, State and Local levels. DARPG is the nodal department to implement this e-office project. E-office aims for e-file (electronic files) + digital signature for authentication + Computerized workflows=paperless office. Product awareness, training and capacity building, handholding and post-deployment support. Setup in more than 80 Ministries / Departments and 6000 subordinate organizations @central levels. Also includes selected States and UT. Citizen can even upload a document along with the grievance application. Citizen can track his/ her complaints. Departments are supposed to dispose of grievances within two months. Senior officials are given online dashboards to monitor the overall progress in grievance redressal. for good governance and Public Administration. 2012 Conference held in Odisha. 2013 Conference held in Rajasthan, Theme: “Towards an Open Government”. During this conference, National Awards on e-Governance also given for the year 2012. Using webportal, voters can register themselves as e-voters. on election day, they can cast their votes using internet from the comforts of their residences / offices. successfully applied in the elections o municipal corporations in Gujarat. Mineral Administration and Governance Using ICT. E-Auction of new leases to mineral blocks. More projects: These are not given award in 2012- but mentioned in the ministers’ speech- helps as fodder material. has a Website Portal that deals with registrations of a patient to the discharge, claim settlement etc. Helps RTI filling through phone call. Solves digital divide and digital illiteracy problem. funding Good governance initiatives by the State/UT Governments on selective basis. Under the R.T.I, you can seek information from public authorities. But at the same time, it is illogical for the government organizations to maintain records for infinite period e.g. file showing the telephone-electricity bills of PMO during 1981-82. Therefore, such not-so-important documents should be destroyed after 3 years, 5 years or 10 years. But who will decide which documents to keep for how long? Answer. Department of Administrative Reforms and Public Grievances. They prepare Record Retention Schedule common to all Ministries and Departments. Publishes books, journals and newsletters. Human Resource Development, Training, Awareness & Assessment. Collaboration with Other countries: for sharing ideas and experience in Public Administration. Notable partners: Brazil, South Africa, China and Malaysia, Canada, European Union, South Korea, Japan, Australia. MoU with Singapore for cooperation in Public Administration. They can be replicated in other parts of India. Can be shown to probationers in central and state services. Panchayat members, delegates in conferences, seminars etc. Online system, by Karnataka State with help of NIC. Businessman have to submit details of every consignment (above 20,000 rupees) to e-Sugam portal and gets a unique number. This saves dealers from bribe-demand, inspection-harassment and time-waste at the road check-post. Ultimately the system aims to link e-sugam to invoices and VAT refunds to reduce tax evasion. a village-wise database of all the beneficiaries (pregnant/lactating women, children up to 5 years) of an area is being maintained. informing and reminding them about their pending antenatal care, postnatal care and immunization appointments. These alerts are also sent to local level health officials informing them about due services in the area. Given on Civil Services Day (21 st April) each year. To officers of the Central and State Governments. for extraordinary and innovative work in Public Administration. Given in multiple categories e.g. best government website, best ICT usage by PSUs etc. It is a platform to discuss, exchange views and experiences relating to e-governance initiatives. Provides platform to exchange views between the Centre and the States. For discussion on crucial national and international issues. Under the programme, the Chief Minister visits each town and organises massive events where people can address their queries personally. It enables interaction between the people and the government without delay or corrupt practices. The initiative has reduced the time usually taken to respond to complaints and actions and has fast tracked problem solving. Improved pension disbursement in the district. A pensioner had to wait days, weeks or months and sometimes had to pay bribes to get pension. database of all pensioners was digitised with the help of a new software. Enables the Women Self Help Groups (SHGs) to run haats in the weekly markets (haats). helps women get management skills, operate a business on their own and improve overall living conditions in their communities. This in turn created a new sense of self-confidence and earned them respect in the family and society=women empowerment. Write a note the role and functions of Department of Administrative Reforms & Public Grievances in promoting good governance. Write a note on Sevottam framework. Define Good Governance and discuss the role of Sevottam framework and National e-Governance Plan in promoting good governance. Good Governance and E-governance are the yin and the yang for a successful democracy. Sir please explain WHAT IS YIN AND YANG?